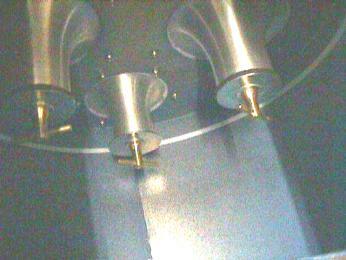 The chamber is constructed with pressure taps on each side of the nozzle to measure the differential pressure. The pressure taps near the ends of the chamber are for measuring the static pressure of the fan under test or the pressure drop across the system under test. In either case, the measurement is a differential pressure between the chamber and atmospheric pressure. 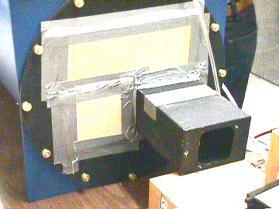 The chamber is shipped in the pressure configuration with airflow into the chamber. The blast gate is on the exit of the chamber and the flex duct goes between the flange on the blast gate and the counter blower. To reverse the airflow and set up the suction mode, simply remove the front plate and blast assembly and rotate the chamber 180 degrees. Reconnect the blast gate assembly and connect the flex duct to the outlet of the counter blower. The blast gate is at the right side of the chamber and is a sliding gate valve. 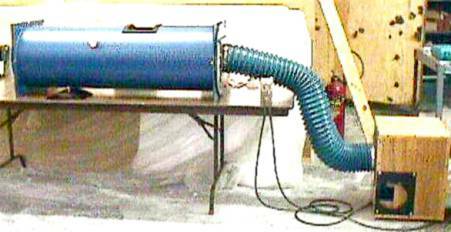 The blast gate is used in conjunction with the speed controller/counter blower to vary the flow through the chamber. 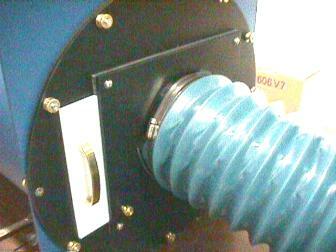 The nozzle array is in the center of the chamber and is accessed through the cover plate. 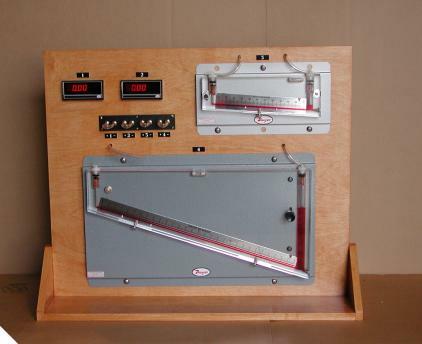 The manometer should be leveled (inclined) and zeroed prior to testing. The 0-6 inch inclined manometer is recommended for measuring the differential pressure. The two pressure taps in the center of the chamber are on either side of the nozzle plate. 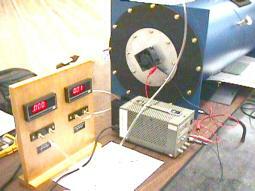 The one on the left (in pressure set up) is the high pressure and is connected to the left-hand side of the manometer. The tap downstream is the low pressure tap and is connected to the right hand side of the manometer. With the digital manometer, the ports are labeled “+” for high pressure and “-“ for low pressure.